Maurice has been teaching Pilates since 2003, and joined Optimum in 2011. ‘I became an instructor following problems with my neck, which Pilates cured by correcting my posture. This was over 15 years ago and as a result I became addicted to Pilates. I initially trained as a gym instructor with YMCAfit and also as an indoor cycling instructor to gain teaching experience. This also gave me qualifications in fitness and anatomy, which I needed prior to starting Pilates training in 2003. I completed my qualification with Pilates Training Solutions (PTS), with whom I have also undertaken a number of other Pilates related courses. I am also a qualified Circuits instructor. PTS also gave me my first teaching role, when after qualifying the owner asked me to cover her classes whilst away on holiday, an honour and daunting at the same time, with a high standard to live up to. Over the years I have worked for Nuffield Health, David Lloyd, Fitness First & Esporta in the Woking & Guildford area, along with teaching for PTS and my own classes. Following a move to Basingstoke in 2011, I have since been teaching at the Aquadrome, Tadley, Optimum Health & my own classes. In addition I also undertake some 1-2-1 training with a few clients. 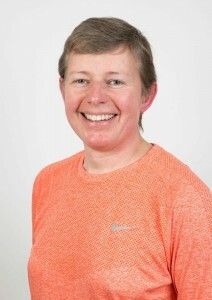 I keep my qualifications up to date by undertaking courses throughout the year, mainly in areas that are relevant to Pilates, such as Muscle Energy Techniques & Kinesio Taping. I have also undertaken courses that look at specific problem areas that we see a lot of in Pilates (lower back, knees, shoulders and glutes). I am hoping at some stage to complete a course in Bio-mechanics. In my spare time I am a keen cyclist, so try to get out as often as possible and have also been known to attend the odd Yoga or Body Balance class, to keep my own fitness up to scratch! The underlying principles of Pilates are very important to me and I feel strongly that this is something that everyone should be aware of. We only have the one body and we should all be aware, in general terms, of how it works & how to take care of it.